We help Chicago enterprises embrace mobility by designing result-oriented customer experiences across leading mobile platforms. We partner with Chicago leaders in manufacturing, energy, transportation, and construction to implement mobile development strategies for reducing costs and increasing profits. Should you build native apps or use a cross-platform approach? Where is the data coming from and do we need to think about the messaging layer? Do we need offline functionality and geo-tracking? We work with your stakeholders and ask the important questions that define the delivery strategy for your innovative mobile products. 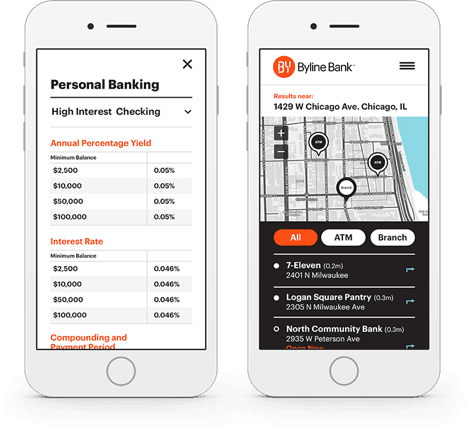 We designed and launched a new mobile product for a Tier 1 bank in Canada in under six months. This solution includes mobile banking applications for iOS, Android, Windows and Blackberry and is built using a combination of responsive web design and native app wrappers. Mobile applications for field service management. Distribute job and customer information to field workers, automatically inform them of changes, and receive job updates made from the field. 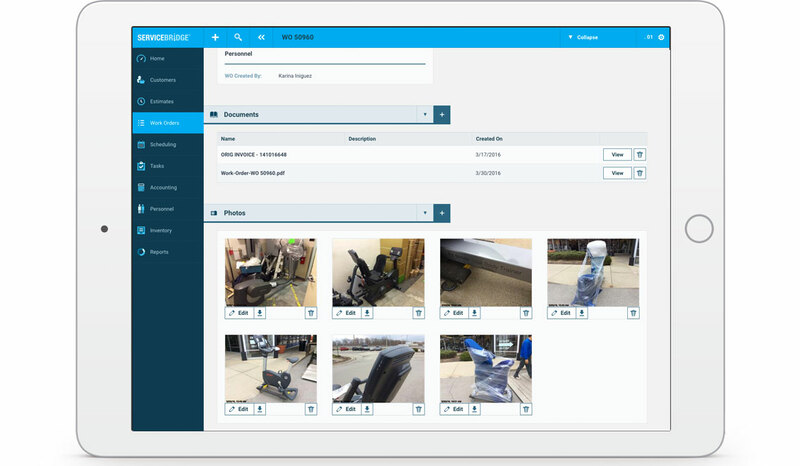 Access photos and signed documents, as well as capture payment information from the field. On the right - Milwaukee based company uses mobile applications to service their generators on the field. 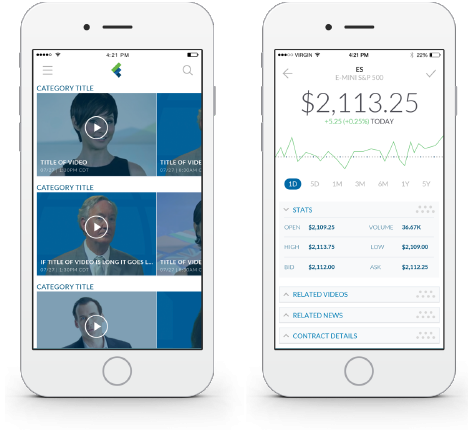 We worked with Chicago Mercantile Exchange to build a futures trading education platform on iOS. The mobile application allows budding traiders to monitor the futures markets as well as stream media to their mobile devices. 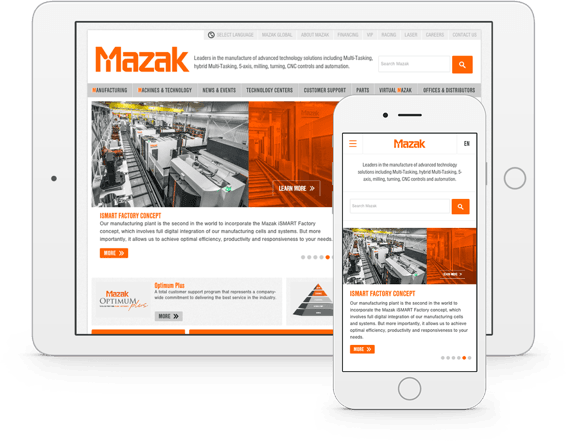 Responsive web design for corporate websites. An alternative to native or cross-platform development is to use Responsive Web Design. RWD dynamically sizes the browser viewport to match the size of the device being used. This approach is great for applications that don’t necessarily need native functionality of mobile devices. Our solutions include native development, cross-platform implementations using industry leading toolkits (Xamarin, Worklight, Cordova), as well as full stack implementation of digital products that span the web, service-based architecture, and mobile endpoints. By combining lean requirements, Dual-track Scrum, and cross-functional teams, we are able to deliver complicated enterprise applications to market in record time. Take a look at the work we did for the Art Institute of Chicago!